Every once in a while you come across the perfect example of linkbait, or link worthy content. Content so compelling you have no choice but to link to it, share it, shout from the rooftops, because when you share it, it adds value to your audience, and ultimately makes you feel good. I came across two great examples, both executing on the same strategy. No need for expertise in your subject matter, just some patience to execute. 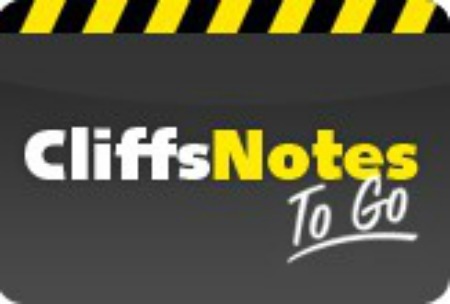 Readers, Please Meet The Cliff Notes Strategy! TL;DR summarize videos or quotes from a celebrity subject matter expert, and put it in an easy to consume pretty package. The first example is StartupNotes , Which summarizes the key takeaway quotes from YCombinators Startup School 2013. It has quotes from all the great speakers, put together in a beautiful format, and went viral on Hacker News a few weeks ago. A page authority of 42, and 41 linking root domains, not bad at all. The great thing about this post is Next Year he can do the same thing for Startup School 2014 and ask for links from all the sites that linked to it the first time, getting much more exposure. Content that can be updated in a value add way is great for building long term credibility and getting repeat links. On top of that, outreach efforts take a lot of time, and any time you can leverage those relationships into more than one linking opportunity, you will start seeing outreach pay off in a big way. I Also came across a piece of incredible linkbait in the SEO space. This content is not fresh, yet it is still getting links, for example, even though it is well over half a year old, I am just linking to it now. I found it today, by clicking on someone elses link to it. It is just the perfect example of creating value added content that compels sharing and linking. More importantly, It exemplifies, an often overlooked ingredient of the best content marketing: Content that drives sales, and influences purchase decisions, and reach the right audience. Getting the right mix of value added content, that establishes you as a subject matter expert, that will reach people likely to purchase your product, and convince them you clearly know how to execute on your strategies, translates into the perfect storm and the perfect example of link bait. Especially when you leverage your content for maximum exposure. I am of course referring to The Short Cutts! A searchable directory of every matt cutts video with the meat and potatoes of the video in one sentence, or often even one word. No more watching matt ramble, now you can just quickly search or filter, find your question, and get the answer without any effort. Now, Matt is the one that created the original content and these guys simply watch the videos and summarized the answers. Not much work done here. Sure the site took work to develop, and is a great template for future projects using the same strategy. In fact, you can easily clone this strategy for your own vertical or site. Simply find quality videos on a topic of interest to your audience and summarize them. The cliff notes of informational videos, and making it aesthetically pleasing and easy to share… and you are in business. That’s 183 (now 184) linking root domains, and a page authority of 51. Not too shabby for a piece of content. That’s over 1600 plus ones, 1728 tweets, and 1400 facebook likes. Pretty awesome. Now, here is what is exceptionally brilliant about this project… Each page is optimized for a natural language question that users care about and actually asked Matt Cutts. I know I personally consult those videos once in a while, but never again… If I have an SEO question, the first place i’ll go is The Short Cutts to see if Matt answered it. If it need more clarification, perhaps I’ll watch it right there. If I feel like embedding the video in a blog post or sharing it with a client or colleague, I will simply copy the embed code and paste it. So Freakin Easy to Share. Perhaps if you are less sophisticated, you might just search google for that very question, and guess who is ranking on page one for almost all of those questions? That’s right, The Short Cutts! You can do this too. The implementation might not be simple, but all you need to do is simplify what experts say in your industry, and bam you have great link content.